More than 100,000 tons of tuna are caught using one-by-one catch methodologies in Indonesia each year. It leads to virtually zero by-catch and ensures that wild tuna will remain available for generations to come. At the same time, the industry provides vital support to coastal economic development and community welfare. It is an industry with local ownership embedded in local customs and cultures. An industry that is sustainable by tradition, for generations to come. As a leading tuna producing country, Indonesian tuna finds its way all over the world. :: Indonesian frozen skipjack > Thailand, Japan and the Philippines. :: Indonesian frozen tuna loins > USA, Japan and France. :: Indonesian canned skipjack > Japan, Middle East and USA. In the leading tuna markets, Indonesian is ranked among the top 10 exporters and is even the number one supplier of frozen tuna loins to the USA and of frozen skipjack to Japan. key facts in a one minute animation. Indonesian tuna industry performance infographic. Indonesia is the world’s leading tuna fishing country, with exclusive waters joining the open waters of the Indian Ocean and the Western Central Pacific Ocean, the world’s richest tuna habitat. 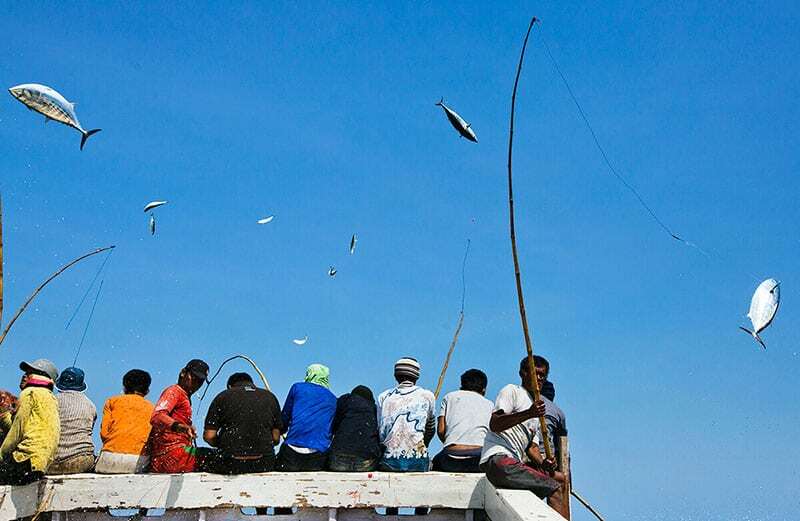 The one-by-one tuna fishery is concentrated in Eastern Indonesia. Pole and Line fishermen use a fishing pole and bait to catch tuna, mostly skipjack and yellowfin. Pole and Line fishing is environmentally responsible and a good alternative to tuna longlining. Unlike tuna longlines, which catch sharks, marine mammals, sea turtles and seabirds as bycatch, pole and line fishermen have a very low bycatch rates. Indonesia produces more than 100.000 tons of pole-and-line caught tuna each year, though only 10-20% reaches the market labelled as such.There are more than 100 Pole and Line fishing vessels and more than 800 Pole and Line fishermen registered with AP2HI – the Indonesian Association for Pole and Line and Handline Fisheries. The handline yellowfin fishery is a small artisanal fishery, accounting for approximately two percent of Indonesia’s tuna catch in a typical year. Having said that, more than 13% of the yellowfin tuna is caught using the handline method. Handline tuna fishing is designed for sustainability. The nature of the craft means virtually no bycatch so risks to threatened species like sharks or marine turtles are minimal. The fishing line does not reach the seabed, meaning that this one-man, one-line, one-hook, one-fish handline fishing method has a minimal impact on marine habitat. There are 29 tuna processing factories that are a member of AP2HI – the Indonesian Association for Pole and Line and Handline Fisheries. They are located in Java, East Nusa Tenggara, Flores, Sulawesi, Maluku and West Papua. They process canned skipjack or fresh and frozen tuna loins. They all comply with international food safety requirements and export either in the region, to Japan, Australia, Europe or USA. 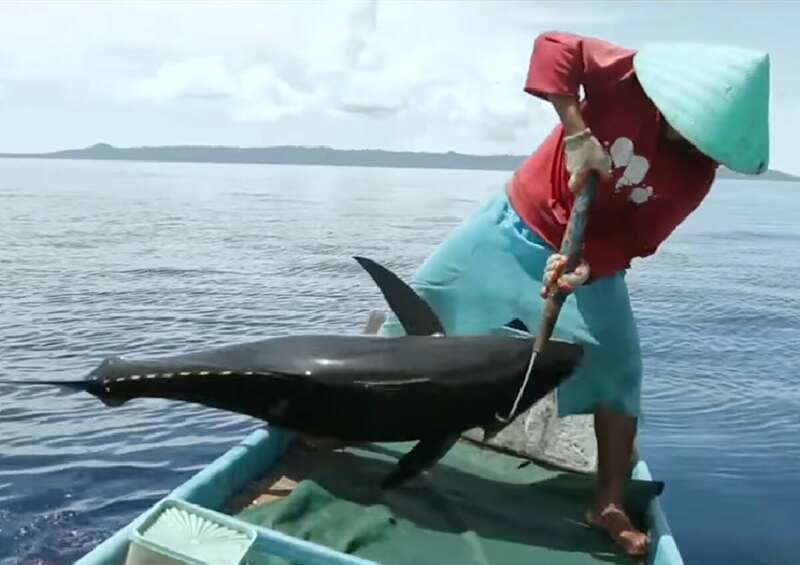 Watch the video from Nusa Bahari, one of Indonesia’s handline yellowfin tuna suppliers, and see the dedication to provide you the very best sustainable tuna.